Christiana Young lost her husband Othello unexpectedly 5 months ago. Two weeks ago she was in a bad car accident on her way to Buchanan where Grandma is from. Thank God she survived the crash, but she has been bed ridden in pain since the accident. 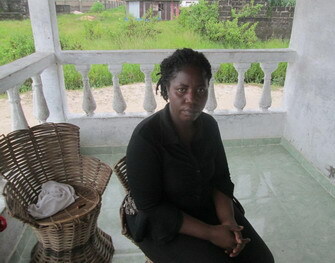 Christiana went to the hospital but because of the Ebola outbreak she was turned away. Everyone is afraid to go near the hospitals now because they are afraid of contracting this deadly virus. People who are sick with malaria and other diseases would rather risk coping with their illnesses at home, rather then coming in contact with Ebola. Many are suffering in their own homes. Provision of Hope is buying pharmacy drugs to try to help some of our people who cannot get help because the clinics are closed. Not only are they dying from Ebola, they will die from the other preventable diseases, because they lack medical help. This is a critical time for Liberia! Please join us as we continue to pray. Christiana is still grieving the loss of her dear husband. She is left with 5 children and Grandma to take care of. Right now their biggest concern is food. We are hoping to find people who will donate so we can give Christina food for the next 6 months, while the Ebola Quarantine is in effect. Everyone is afraid of a food shortage because the borders are closed. Rice has already gone up substantially in price. All over Liberia business is affected. People are cautioned to move about as usual and to stay away from public places. Othello Junior with his arm around Mama. Christiana with Othello and Christopher on her lap. Christiana Jr. stands behind. This is an update also for those of you have previously donated money towards Christiana and her family. We managed to raise enough money to pay for the funeral costs and give Christiana some money for food. This month we gave her funds to put 4 new windows in their unfinished home in order to keep the down pour of rain from flooding their rooms. This is still their rainy season. I have a spreadsheet of all the donations that came in, and precisely where they were distributed if anyone would like a copy. We are always open with our financial records to anyone interested. 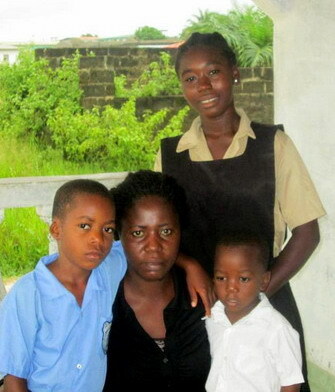 karen@provisionofhope.com To see the previous post click here Sudden Death leaves young family in mourning. With the Ebola outbreak schools will not be opening for this first semester. School fees for all these children will be another matter of concern when that day comes. Provision of Hope will start a trust fund for the education of these children, if anyone would like to donate towards this, or commit to the education of one child for a semester ($ 150) or for a year ($ 300) This cost includes school materials. This is for the elementary students only. 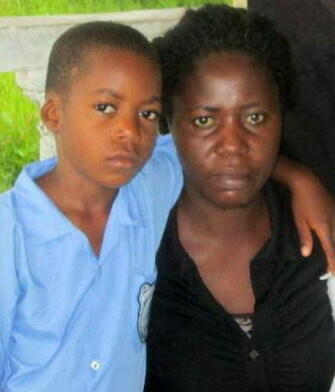 Christopher is the youngest, next is Othello, Christiana, Wilchris and Meekie the oldest who is hoping to go to university. These days it is hard to know what to . The needs in Liberia are so vast. We are trying our best to make a shift from relief to development. Soon I would love to do a update on our Provision Garden Projects. Click on the highlight to see more on this topic. More than ever, I am convinced this is the way to go. Liberia has a rich soil base. This country is in the rain forest. If we boost their nutrition, they will be able to fight off the killer diseases like Ebola and Malaria. 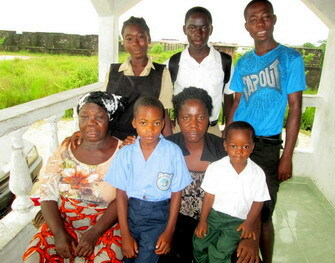 There are success stories of those who have lived through the Ebola virus. These are the Liberian people who have a good immune system and who got medical help when they were first infected with the virus. Thank you so much for all who have donated to Provision of Hope. It’s you who deserve the credit. God bless you! Thank You for the nice message Karen. Our thoughts and prayers are with the Persons of Liberia and Ghana. May Almighty God cease the suffering and provide for these Persons. We are God’s hands. Thank You for all your hard work. God Bless!